Basis: Start with crumbling the cookies, adding butter, cinnamon and stiring it. 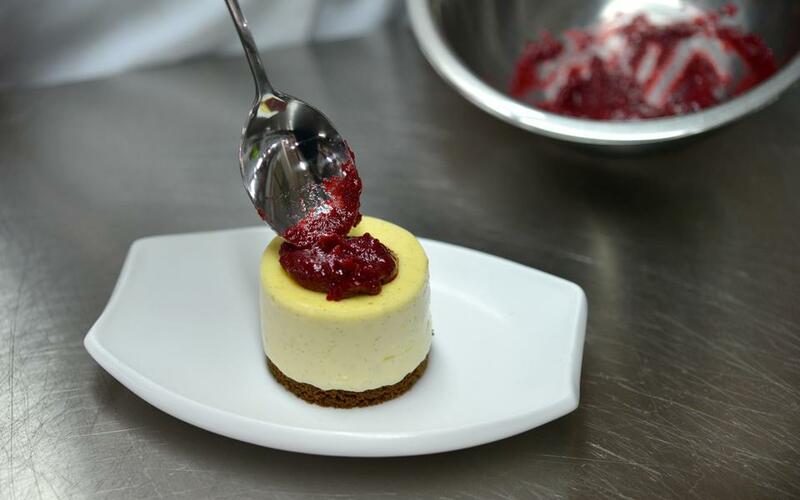 Move the mass into a cheesecake tray, press it to 2mm thickness and bake for 7-10 minutes on 170C. Let it cool. 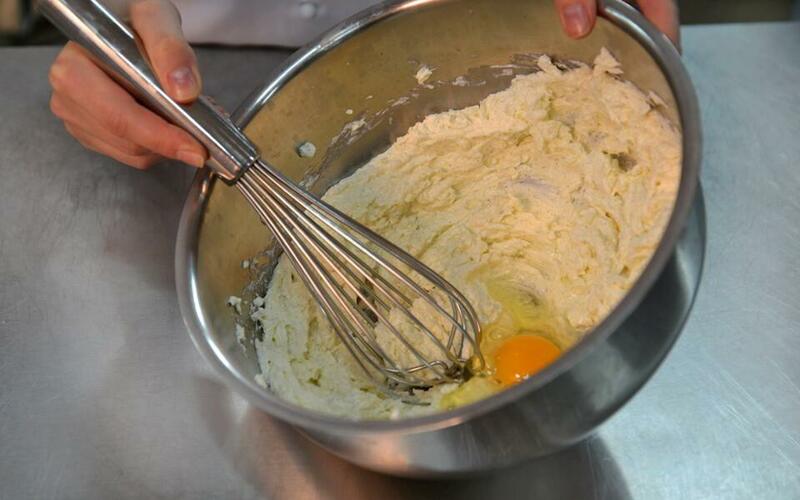 Cheesecake: Lightly mix cream-cheese, 130g of sugar, vanilla and crème, add eggs one by one and flour. 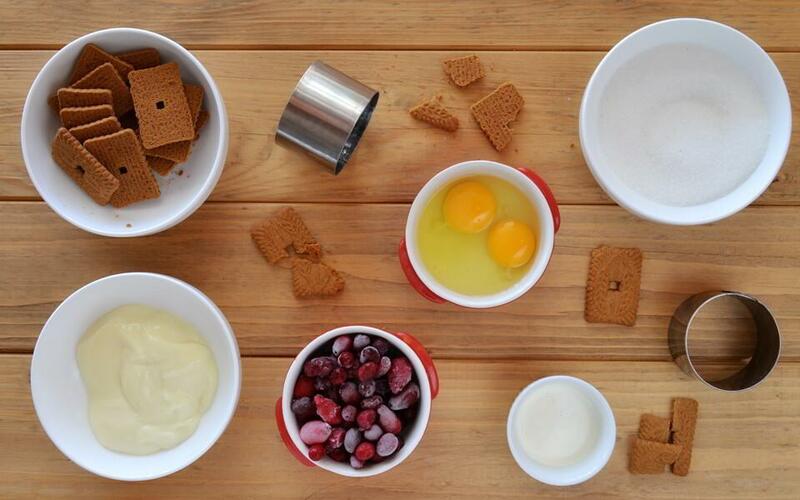 Mix them all thoroughly and move them to the special cheesecake pans. Preheat the oven on 100C and place the pans with cheesecake for 30 minutes. 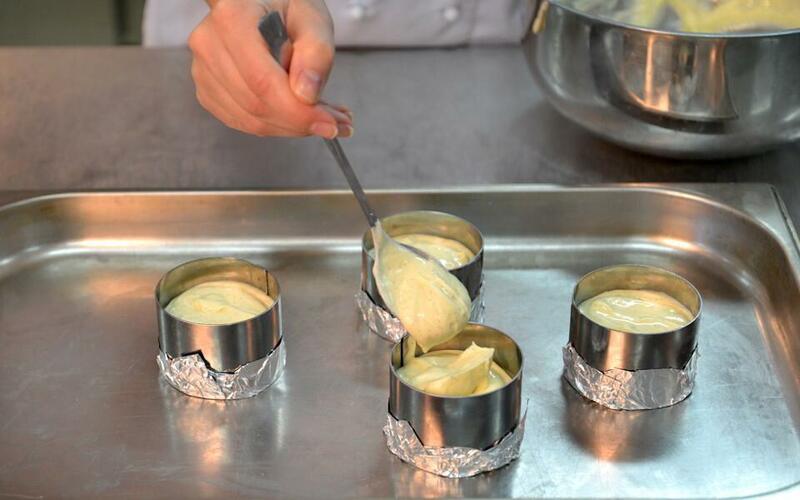 Do not let them bake longer, as they should be wobbling. It must get cold and then place it in the fridge for overnight. Sauce: Bring the cornel and sugar to boiling, make puree and drain. 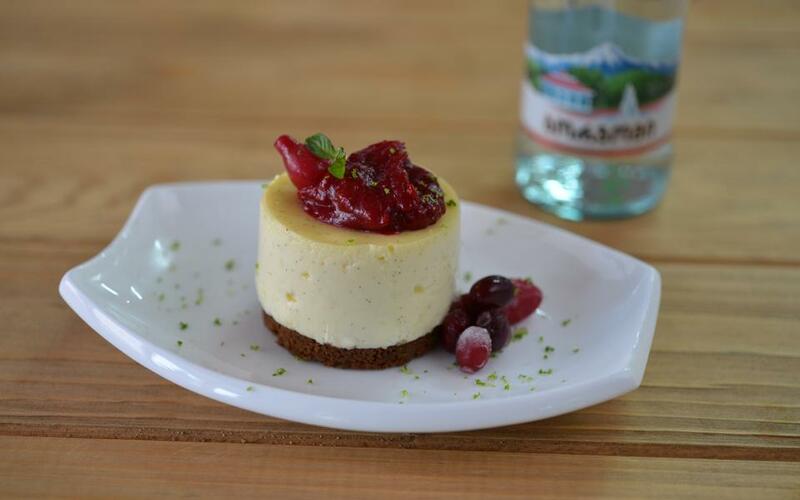 Setting: Take the cheesecake from its pan, place on a basis, dress with sauce and decorate.